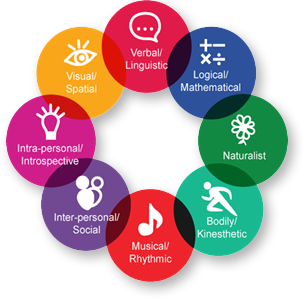 A prominent theory in education is Howard Gardner’s theory of multiple intelligences. Gardner proposed that, rather than intelligence being a single trait that you either have or don’t have, it is instead something composed of 8 factors which we all have differing degrees of aptitude. These forms of intelligence are: verbal/linguistic, logical/mathematical, visual/spatial, bodily/kinesthetic, musical/rhythmic, intrapersonal, interpersonal and naturalist. Would you believe that all of these intelligences can be targeted and improved upon at the playground? Verbal/Linguistic – The playground is where many children learn to communicate with their peers and practice social behaviours. They ask to join in play, communicate their ideas to others, explain rules of games that they create, and ask other children for help or to participate. Shouting for their friends to spin them on an Apollo, or asking to join another child on a Biggo swing are examples of language being developed through play. Logical/Mathematical – When a child first encounters a net that towers 30′ above the ground, they may be taken aback and need to think about how they would approach the game. This strategizing develops logical reasoning and encourages children to think and adapt as they climb and play. Creating new games to play on existing equipment also taps into that logical aptitude, encouraging children to conceive of new ways to play and create the rules that define their games. Visual/Spatial – Playing in 3 dimensions, especially on a moving structure like rope, is developmentally better for children than climbing on static, planar structures. It forces their brains to adapt and adjust as they climb, improving their spatial awareness, their hand/eye coordination and their sense of self in the space. Bodily/Kinesthetic – It’ll come as no surprise to anyone who has brought their children to a Dynamo park, or even played on one of our structures themselves, that our games promote physical activity. Children are climbing, balancing, swinging, jumping and running. Active play not only promotes fitness, but improves overall strength, balance and coordination. Please stay tuned for our continuation of this article.